In medicine, amyloidosis refers to a variety of conditions in which amyloid proteins are abnormally deposited in organs and/or tissues. Amyloidosis may be inherited or acquired. It can occur as its own entity or "secondarily" as a result of another illness, including multiple myeloma, chronic infections (such astuberculosis or osteomyelitis), or chronic inflammatory diseases (such as rheumatoid arthritis and ankylosing spondylitis). Amyloidosis can also be localized to a specific body area from aging. This localized form of amyloidosis does not have systemic implications for the rest of the body. The protein that deposits in the brain of patients with Alzheimer's disease is a form of amyloid. Systemic amyloidosis has been classified into three major types that are very different from each other. These are distinguished by a two-letter code that begins with an A (for amyloid). The second letter of the code stands for the protein that accumulates in the tissues in that particular type of amyloidosis. The types of systemic amyloidosis are currently categorized as primary (AL), secondary (AA), and hereditary (ATTR). Primary amyloidosis, or AL, occurs when a specialized cell in the bone marrow (plasma cell) spontaneously overproduces a particular protein portion of an antibody called the light chain. (This is why it is coded as AL). The deposits in the tissues of people with primary amyloidosis are AL proteins. Primary amyloidosis can occur with a bone marrow cancer of plasma cells called multiple myeloma. Primary amyloid is not associated with any other diseases but is a disease entity of its own, conventionally requiring chemotherapy treatment. Researchers at the Mayo Clinic in Rochester, Minnesota, and Boston University in Boston, Massachusetts, have demonstrated benefits from stem-cell transplantation, harvesting patients' own stem cells to treat primary amyloidosis. When amyloidosis occurs "secondarily" as a result of another illness, such as multiple myeloma, chronic infections (for example, tuberculosis or osteomyelitis), or chronic inflammatory diseases (for example, rheumatoid arthritis and ankylosing spondylitis), the condition is referred to as secondary amyloidosis or AA. The amyloid tissue deposits in secondary amyloidosis are AA proteins. The treatment of patients' secondary amyloidosis is directed at treating the underlying illness in that particular patient. Familial amyloidosis, or ATTR, is a rare form of inherited amyloidosis. The amyloid deposits in familial amyloidosis are composed of the protein transthyretin, or TTR, which is made in the liver. Familial amyloidosis is an inherited autosomal dominant in genetics terminology. This means that for the offspring of a person with the condition, there is a fifty percent chance of inheriting it. The many forms of localized amyloidosis are a result of amyloid deposits in specific areas of the body and are distinct from systemic forms of amyloidosis that deposit amyloid throughout the body. Localized amyloid deposits occur in the brain from Alzheimer's disease. In various tissues, often with aging, amyloid can be locally produced and deposited to cause tissue injury. Kidney disease, which may lead to kidney failure; this is the cause of death in 40 - 60% of cases. Heart problems this is rare, and less severe than in other forms of amyloidosis. Most people who are diagnosed with AA have had their related inflammatory disease for a decade or more. Initial treatment of amyloidosis involves correcting organ failure and treating any underlying illness (such as myeloma, infection, or inflammation). The disease is frequently discovered after significant organ damage has already occurred. Therefore, stabilization of organ function is an initial target of treatment. The most frequent cause of death in systemic amyloidosis is kidney failure. Sephardic Jews and Turks inherit a genetic disease called Familial Mediterranean Fever, which is associated with amyloidosis and characterized by episodes of "attacks" of fever, joint, and abdominal pains. These attacks can be prevented with the medication colchicine. Armenians and Ashkenazi Jews also have a higher incidence of Familial Mediterranean Fever attacks but do not suffer amyloid deposition disease. Other reports of amyloidosis in families are extremely rare. Familial amyloidosis can now be cured with liver transplantation. This option requires an accurate diagnosis of the specific protein that causes the disease. There is no cure for AA, but medication can improve survival. The underlying condition must be treated. A liver transplant may be necessary for hereditary amyloidosis. A combination of prednisone (a corticosteroid) and melphalan (Alkeran, also used to treat some kinds of cancer) is used to treat AL. Stem-cell transplants are also a treatment for AL. No one knows what causes amyloidosis, and there may be more than one cause. Hereditary amyloidosis results from genetic changes that cause the body to make abnormal proteins. Researchers think that as we get older, damage builds up in the body and triggers the disease. This kind of damage may come from the body's use of oxygen (oxidation) and from free radicals (harmful byproducts formed when cells use energy). Amyloid is also more likely to form in people who have immune system problems. Once amyloid deposits start, they seem to continue building up in the same locations. The heart, kidneys, nervous system, and GI tract are the most commonly affected. The cause of primary amyloidosis is unknown. The condition is related to abnormal and excess production of antibodies by a type of immune cell called plasma cells. The deposits build up in the affected organs, causing them to become stiff, which decreases their ability to function. Risk factors have not been identified. Primary amyloidosis is rare. It is similar to multiple myeloma, and is treated the same way. Symptoms depend on the organs affected by the deposits. These organs can include the tongue, intestines, skeletal and smooth muscles, nerves, skin, ligaments, heart, liver, spleen, and kidneys. Your doctor may discover that you have an enlarged liver or spleen. Abdominal ultrasound may reveal a swollen liver or spleen. An abdominal fat pad aspiration, rectal mucosa biopsy, or bone marrow biopsy can help confirm the diagnosis. A heart evaluation, including an ECG, may reveal arrhythmias, abnormal heart sounds, or signs of congestive heart failure. An echocardiogram shows poor motion of the heart wall, due to a stiff heart muscle. A carpal tunnel syndrome evaluation may show that hand grips are weak. Nerve conduction velocityshows abnormalities. Kidney function tests may show signs of kidney failure or too much protein in the urine (nephrotic syndrome). Urinalysis shows protein, casts, or fat bodies. Some patients with primary amyloidosis respond to chemotherapy focused on the abnormal plasma cells. A stem cell transplant may be done, as in multiple myeloma. In secondary amyloidosis, aggressively treating the disease that is causing the excess amyloid protein can improve symptoms and/or slow the disease from getting worse. Complications such as heart failure, kidney failure, and other problems can sometimes be treated, when needed. How severe the disease is depends on the organs that are affected. When the heart and kidney are involved, it may lead to organ failure and death. Body-wide ( systemic) involvement can lead to death in 1 to 3 years. You know you have primary amyloidosis and you have difficulty breathing, persistent swelling of the ankles or other areas, decreased urine output, or other symptoms that may indicate complications have developed. THC prevents formation of amyloid plaques. Cannabis inhibits B-amyloid peptide aggregation. Cannabinoids have immunomodulatory properties (helpful in neuroinflammatory diseases). THC suppresses cell-mediated immune responses. THC is a neuroprotector and an analgesic. CBD reduces inflammation, anxiety and nausea. CBN is a weak agonist of CB1R and CB2R. Most well known endocannabinoids are: anandamide and 2-arochidonoyl glycerol-both are neuurotransmitters and both are synthesized "on demand" through multiple biosynthetic pathways. CB2 interferes with inflammation cytokin release and blocks or modulates microglial cells. In the 400 plus compounds in cannabis, 66 are CB's. Cannabinoids are antioxidants. Several recent studies have suggested that the endocannabinoid system (ECS) participates in brain immune control and neuroprotection, playing a crucial role in the cellular communication network in and between the nervous and immune system during persistent glial activation and neuronal damage. Therefore, the cannabinoid system may represent a new, promising field of research, because many cell types involved in AD neuropathology express components of this system, which can be endogenously or pharmacologically modulated (Pazos et al., 2004). Recent results showing remarkable changes of endocannabinoid levels and receptor concentrations in patients' brains and in experimental models have further reinforced the assumption that this system is substantially dysregulated in AD (Benito et al., 2003). In rat hippocampus, the same authors revealed that Aβ induced a selective 2-fold enhancement of 2-arachidonoyl glycerol (2-AG) along with a significant up-regulation of CB2, but not CB1, receptors concomitant with the onset of neuronal damage markers (van der Stelt et al., 2006). Further evidence, showing that CB1 receptor-selective activation inhibits inducible nitric-oxide synthase expression and blunts tau protein hyperphosphorylation in Aβ-challenged rat neuronal cells (Esposito et al., 2006), has suggested putative neuroprotective and antiinflammatory properties of ECS. All these findings have encouraged research on the effects of ECS manipulation on Aβ-induced reactive astrogliosis, because it may help identify potential targets. We found that the selective stimulation of cannabinoid receptor CB2 by JWH-015 suppressed IFN-γ-induced CD40 expression. In addition, this CB2 agonist markedly inhibited IFN-γ-induced phosphorylation of JAK/STAT1. Further, this stimulation was also able to suppress microglial TNF-α and nitric oxide production induced either by IFN-γ or Aβ peptide challenge in the presence of CD40 ligation. Finally, we showed that CB2 activation by JWH-015 markedly attenuated CD40-mediated inhibition of microglial phagocytosis of Aβ1–42 peptide. Taken together, these results provide mechanistic insight into beneficial effects provided by cannabinoid receptor CB2modulation in neurodegenerative diseases, particularly AD. Activated microglial cells have been implicated in a number of neurodegenerative disorders, including Alzheimer's disease (AD), multiple sclerosis (MS), and HIV dementia. It is well known that inflammatory mediators such as nitric oxide (NO), cytokines, and chemokines play an important role in microglial cell-associated neuron cell damage. Our previous studies have shown that CD40 signaling is involved in pathological activation of microglial cells. Many data reveal that cannabinoids mediate suppression of inflammation in vitro and in vivo through stimulation of cannabinoid receptor 2 (CB2). The orphan G protein coupled receptors, GPR55 and GPR18, are both activated by a variety of exogenous and endogenous cannabinoids and lipids, including the cannabidiol analogue, abnormal cannabidiol (abn-CBD), AEA and N-arachidonoyl glycine. Both GPR55 and GPR18 have been suggested as candidate receptors for the abn-CBD-sensitive cannabinoid-related receptor that mediates hypotension and alterations in macrophage activity. There is a growing body of evidence that inflammation and inflammatory disorders, including sepsis, could be modulated by endogenous chemical signaling molecules such as lipid mediators. The fundamental role of lipid mediators is regulating resolution of inflammation through activation of anti-inflammatory and pro-resolving signaling pathways. The ECS plays an important role in immune system modulation and increasing evidence supports upregulation of the ECS during both local and systemic inflammation, e.g. sepsis. 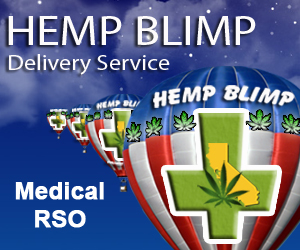 Endocannabinoids are released from macrophages, dendritic cells, platelets and parenchymal cells in response to inflammatory stimuli and oxidative stress, and are present in elevated levels in the sera of patients and animals in septic shock. Examination of CBR function has revealed that CB2R are present on macrophages, neutrophils and lymphocytes and activation of these receptors has been generally associated with anti-inflammatory effects including reduced macrophage and neutrophil numbers at the site of infection and decreases in pro-inflammatory cytokines. 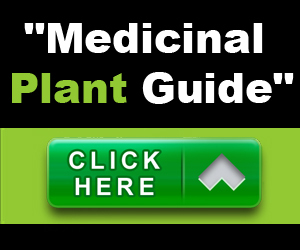 'Cannabinoids from the plant, Cannabis sativa, have been widely used in medicine for over a millennium as anticonvulsant, analgesic, anti-emetic, anti-inflammatory and immunosuppressive drugs'. The recent interest in cannabinoids was triggered by the discovery of endogenous cannabinoid receptors and their ligands, anandamide and 2-arachidonoyl glycerol (2-AG). Cannabinoid-1 receptors (CB1R) exist primarily on central and peripheral neurons, their major role is to modulate neurotransmitter release, whereas the cannabinoid-2 receptors (CB2R) are found mainly on immune cells and are known to play a role in immune response and regulation of inflammatory processes. The endocannabinoid system (ECS) is upregulated during local and systemic inflammation. However, the role of the ECS in the immune response is still not completely known. Cannabinoid receptors activate multiple signaling pathways including preferential activation of Gi proteins, inhibition of adenyl cyclase (AC) and reduction in cAMP accumulation, and activation of mitogen activated protein kinase pathways in most tissues. In the nervous system, CB1R activation results in inhibition of voltage-dependent calcium channels, as well as both activation and inhibition of voltage-dependent potassium channels. In summary, inflammatory diseases, including sepsis, are characterized by pathological changes within the microcirculation. Long-lasting impairment of the microcirculation causes severe decrements in tissue perfusion and organ function and plays a key role in the progression to severe sepsis. Given the complex pathophysiology of systemic inflammation and the high mortality associated with severe sepsis, identifying novel drugable targets and appropriate therapeutic windows is a priority for treating this disease. and that this anti-infection/anti-inflammatory action is largely mediated through CB2R activation. The CB2R is closely associated with the immune system, being prevalent in peripheral immune cells, such as white blood cells. Also, CB2R mRNA has been localized in the spleen, tonsil, and thymus, organs that are important sites of immune cell production and regulation. CBD also acts as an analgesic and muscle relaxant. In addition, it appears to have anticonvulsant, anxiolytic, neuroprotective, and antioxidant properties. Most importantly, although it has effects on the central nervous system, CBD is virtually without psychotropic actions and indeed may be an antipsychotic. We are only just beginning to appreciate the therapeutic potential of CBs. To realize the therapeutic potential suggested by preclinical data, it is likely that, in managing the symptom burden in CKD, both CB1R and CB2R agonists, alone or in combination with each other and/or with CBD, and ultimately, the endo-CB system, will have to be completely studied (using real samples of medical grade marijuana). Use Medical Marijuana as adjunct to pharmaceuticals (doctor recommendations). You may begin to use less of the pharmaceuticals! Bastianetto S, Ramassamy C, Doré S, Christen Y, Poirier J, Quirion R. The Ginkgo biloba extract (EGb 761) protects hippocampal neurons against cell death induced by beta-amyloid. Eur J Neurosci. 2000;12(6):1882-1890. Beers MH, Porter R, eds. The Merck Manual of Diagnosis and Therapy. 18th ed. Whitehouse Station, NJ: Merck Research Laboratories; 2006:1310-12. Buxbaum J. Treatment and prevention of the amyloidoses: can the lessons learned by applied to sporadic inclusion-body myositis? Neurology. 2006;66(2 Suppl 1):S110-3. Falk RH, Skinner M. The systemic amyloidoses: an overview. Adv Intern Med. 2000;45:107-137. Goldman L. Inherited and metabolic hepatic disorders. Cecil Textbook of Medicine. 23rd ed. Philadelphia, Pa: Saunders Elsevier; 2008:1436-7;2083-7. Kholova I, Kautzner J. Current treatment in cardiac amyloidosis. Curr Treat Options Cardiovasc Med. 2006;8(6):468-73. Lebrazi H, Hachulla E, Saile R. Treatments for amyloidosis beyond symptomatic care [in French]. Rev Med Interne.2000;21(3):247-255. Lim GP, Calon F, Morihara T, Yang F, Teter B, Ubeda O, Salem N Jr, Frautschy SA, Cole GM. A diet enriched with the omega-3 fatty acid docosahexaenoic acid reduces amyloid burden in an aged Alzheimer mouse model. J Neurosci. 2005 Mar 23;25(12):3032-40. Liu F, Lau BH, Peng Q, Shah V. Pycnogenol protects vascular endothelial cells from beta-amyloid-induced injury. Biol Pharm Bull. 2000;23(6):735-737. Morena M, Cristol J, Canaud B. Why hemodialysis patients are in a prooxidant state? What could be done to correct the pro/antioxidant imbalance. Blood Purif. 2000;18(3):191-199. Sezer O, Eucker J, Schmid P, Possinger K. New therapeutic approaches in primary systemic AL amyloidosis. Ann Hematol.2000;79(1):1-6. Wettstein A. Cholinesterase inhibitors and ginkgo extracts -- are they comparable in the treatment of dementia?Phytomedicine. 2000;6(6):393-401. Zubkov A, Rabinstein A, Dispenzieri A, Wijdicks E. Primary systemic amyloidosis with ischemic stroke as presenting complication. Neurology. 2007;69(11):1136-41. 1. 01. Vincent JL, Rello J, Marshall J, Silva E, Anzueto A, Martin CD, et al. International study of the prevalence and outcomes of infection in intensive care units. JAMA - J Am Med Assoc 2009;302:2323-9. 2. Angus DC, Linde-Zwirble WT, Lidicker J, Clermont G, Carcillo J, Pinsky MR. Epidemiology of severe sepsis in the United States: analysis of incidence, outcome, and associated costs of care. Crit Care Med 2001;29:1303-10. 3. Angus DC, Wax RS. Epidemiology of sepsis: an update. Crit Care Med 2001;29(7 Suppl):S109-16. 4. Monneret G, Venet F, Pachot A, Lepape A. Monitoring immune dysfunctions in the septic patient: a new skin for the old ceremony. Mol Med 2007;14:64-78. 5. Hanus LO. Pharmacological and therapeutic secrets of plant and brain (endo) cannabinoids. Med Res Rev 2008;29:213-71. 6. Pertwee RG, Ross RA. Cannabinoid receptors and their ligands. Prostag Leukotr Ess 2002;66:101-21. 7. Varga K, Wagner JA, Bridgen DT, Kunos G. Platelet- and macrophage-derived endogenous cannabinoids are involved in endotoxin-induced hypotension. FASEB J 1998;12:1035-44. 8. Marshall JC, Deitch E, Moldawer LL, Opal S, Redl H, Poll T van der. Preclinical models of shock and sepsis: what can they tell us? Shock 2005;24 Suppl 1:1-6. 9. Remick DG, Ward PA. Evaluation of Endotoxin Models for the Study of Sepsis. Shock 2005; 24 Suppl 1:7-11. 10. Deitch EA. Rodent models of intra-abdominal infection. Shock 2005;24 Suppl 1:19-23. 11. Remick DG, Newcomb DE, Bologos GL CD. Comparison of the mortality and inflammatory response of two models of sepsis: lipopolysaccharide versus cecal ligation and puncture. Shock 2000;13:110-6. 12. Weinstein WM, Onderdonk AB, Bartlett JG, Gorbach SL. Experimental intra-abdominal abscesses in rats: development of an experimental model. Infect Immun 1974;10:1250-5. 13. Bartlett JG, Onderdonk AB, Louie T, Kasper DL, Gorbach SL. A review. Lessons from an animal model of intra-abdominal sepsis. Arch Surg 1960;113:853-7. 14. Hansson L, Alwmark A, Christensen P, Jeppsson B, Holst E BS. Standardized intra-abdominal abscess formation with generalized sepsis: pathophysiology in the rat. Eur Surg Res 1985;17:155-9. 15. Wichterman KA, Baue AE. Sepsis and septic shock: a review of laboratory models and a proposal. J Surg Res 1980;29:189-201. 16. Lustig MK, Bac VH, Pavlovic D, Maier S, Grundling M, Grisk O, et al. Colon ascendens stent peritonitis--a model of sepsis adopted to the rat: physiological, microcirculatory and laboratory changes. Shock 2007;28:59-64. 17. Ince C. The microcirculation is the motor of sepsis. Crit Care 2005;9 Suppl 4:S13-9. 18. Klijn E, Den Uil CA, Bakker J, Ince C. The heterogeneity of the microcirculation in critical illness. Clin Chest Med 2008;29:643-54. 19. Lehmann C, Georgiew A, Weber M, Birnbaum J, Kox WJ. Reduction in intestinal leukocyte adherence in rat experimental endotoxemia by treatment with the 21-aminosteroid U-74389G. Intens Care Med 2001;27:258-63. 20. Nencioni A, Trzeciak S, Shapiro NI. The microcirculation as a diagnostic and therapeutic target in sepsis. Intern Emerg Med 2009;4:413-8. 21. De Backer D, Ospina-Tascon G, Salgado D, Favory R, Creteur J, Vincent J-L. Monitoring the microcirculation in the critically ill patient: current methods and future approaches. Intens Care Med 2010;36:1813-25. 22. Chierego M, Verdant C, De Backer D. Microcirculatory alterations in critically ill patients. Minerva Anestesiol 2006;72:199-205. 23. Dellinger RP, Levy MM, Carlet JM, Bion J, Parker MM, Jaeschke R, et al. Surviving Sepsis Campaign: international guidelines for management of severe sepsis and septic shock: 2008. Crit Care Med 2008;36:296-327.